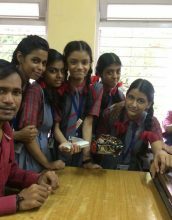 Science exhibition at Ramsheth thakur english school,sector-6A, Kamothe. Rayat Shikshan Sanstha. 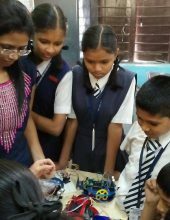 Maverick Den Started STEM with Robotics in Brahmin Shikshan Mandal, Thane. 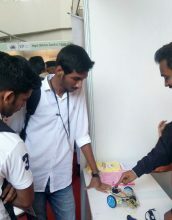 Maverick Den has Started STEM with Robotics in Schools…. Brahmin Shikshan Mandal in Thane has included STEM with Robotics in its curriculum to strenghten students’ science n maths concepts.